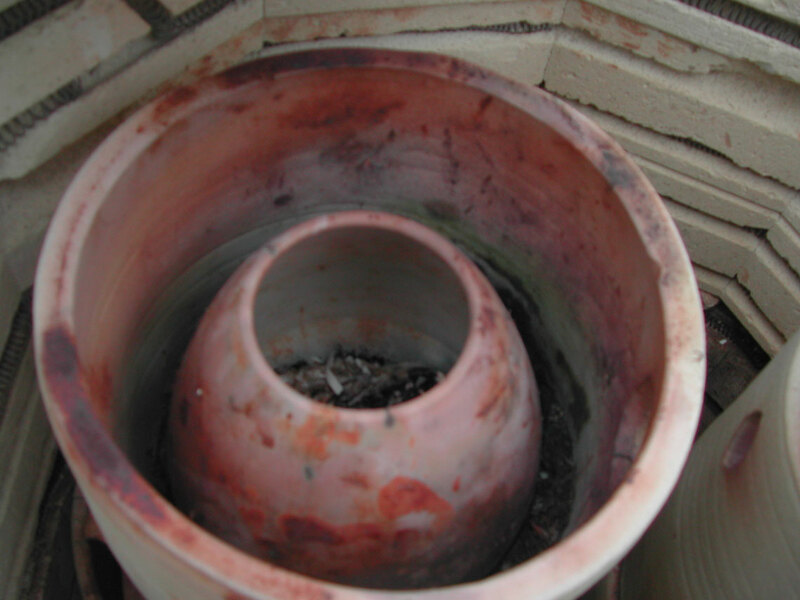 The white earthenware clay pots thrown on a potter’s wheel are burnished several times while drying to smooth the surface and bring up the finer particles of clay. 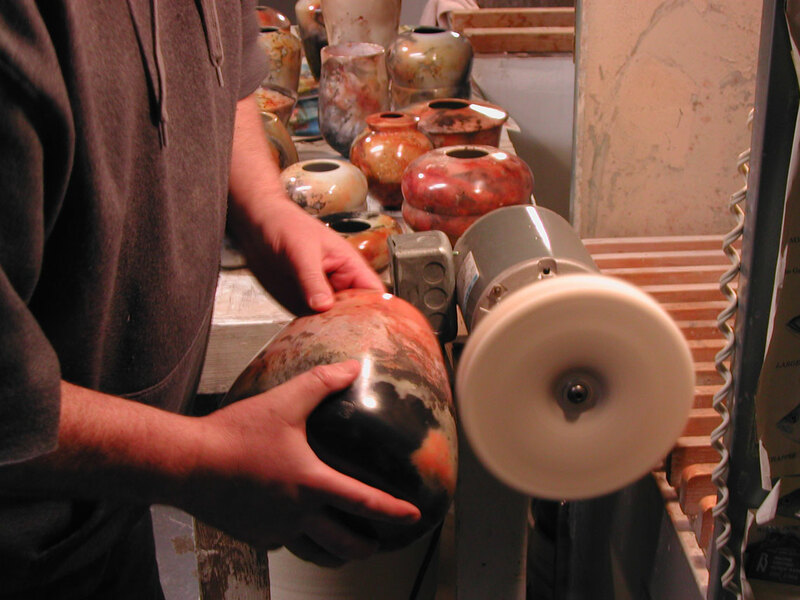 When the pots are leather hard, 3-5 coats of terra-sigillata are applied, followed by a polishing with a chamois. 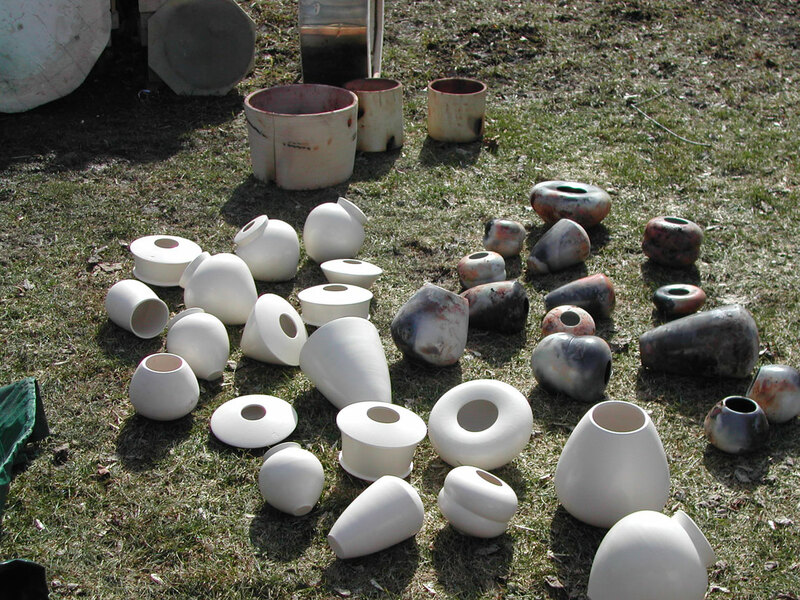 Bisque firing at a relatively low temperature allows the clay body to absorb the effects of the combustible materials in the saggar firing to follow. 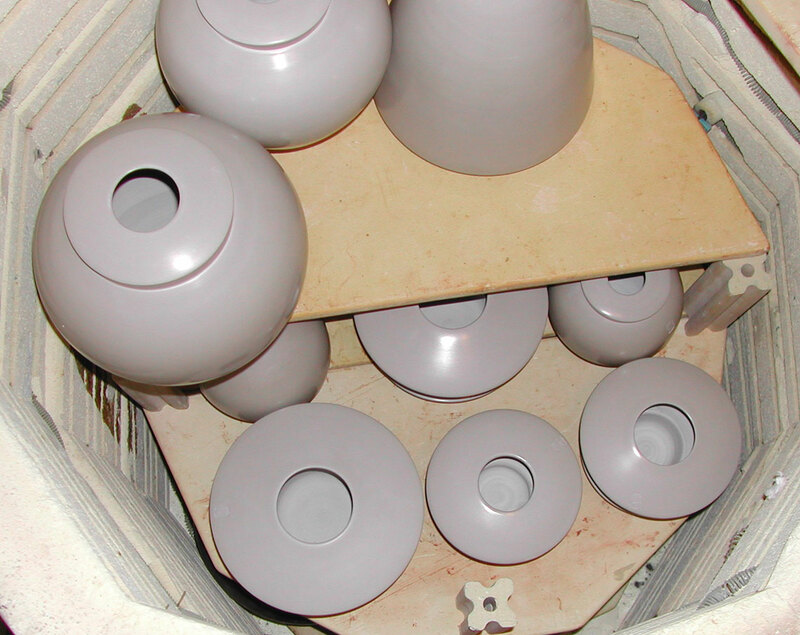 Ceramic containers called saggars are handmade from a different type of clay. 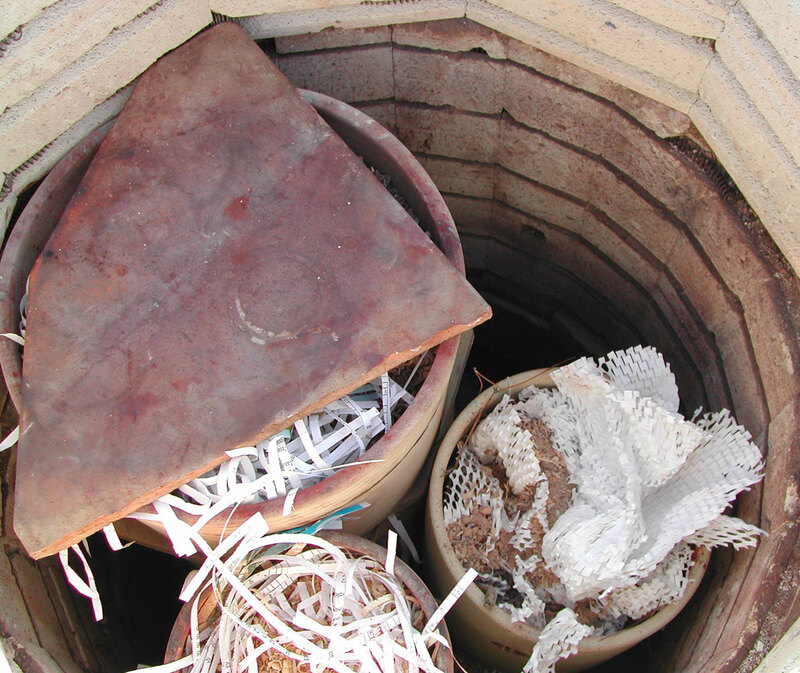 Each saggar holds an individual pot packed with sawdust, hard woods, and a variety of combustible materials such as paper, straw, dry weeds, grass, iron, and ceramic colorants. 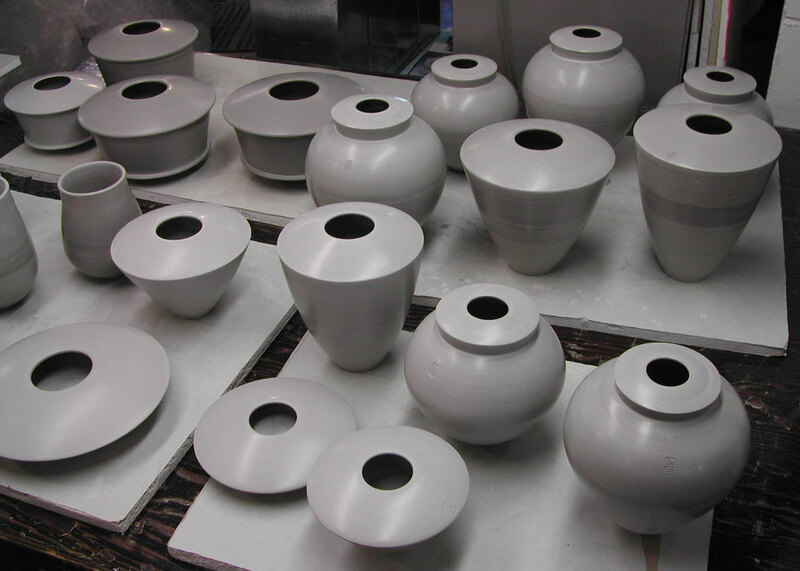 With saggars stacked in the kiln, the firing begins with a soft flame for the first hour, gradually increasing the temperature to 1500 degrees Fahrenheit over the next 4-8 hours. 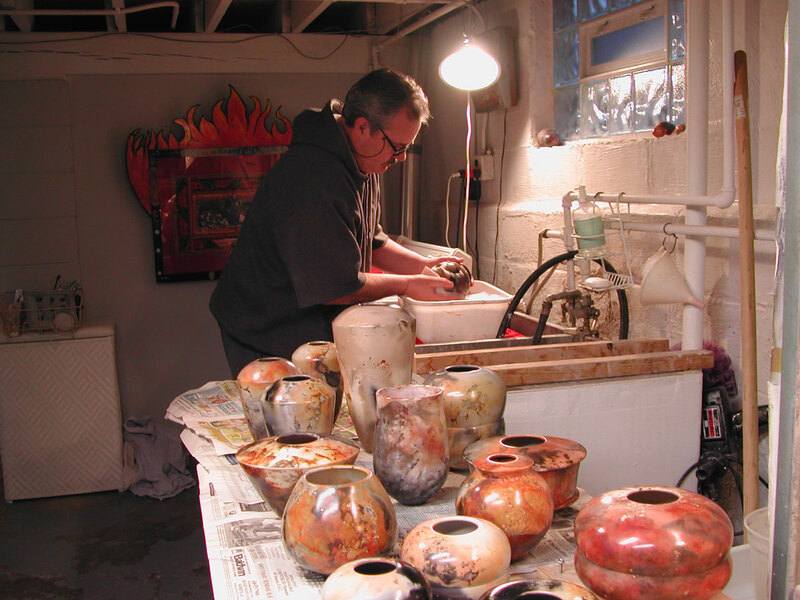 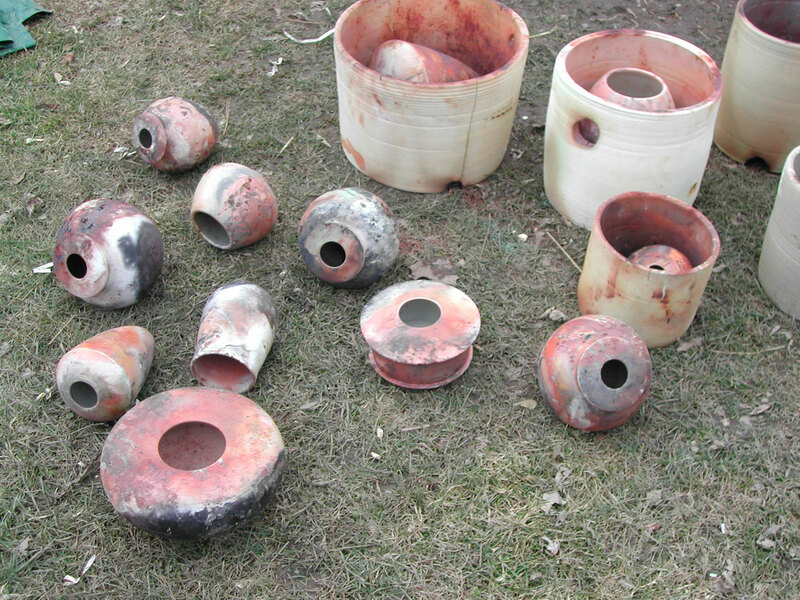 At this point, the burners are shut off, the openings are plugged, and the kiln remains undisturbed for 18-20 hours. 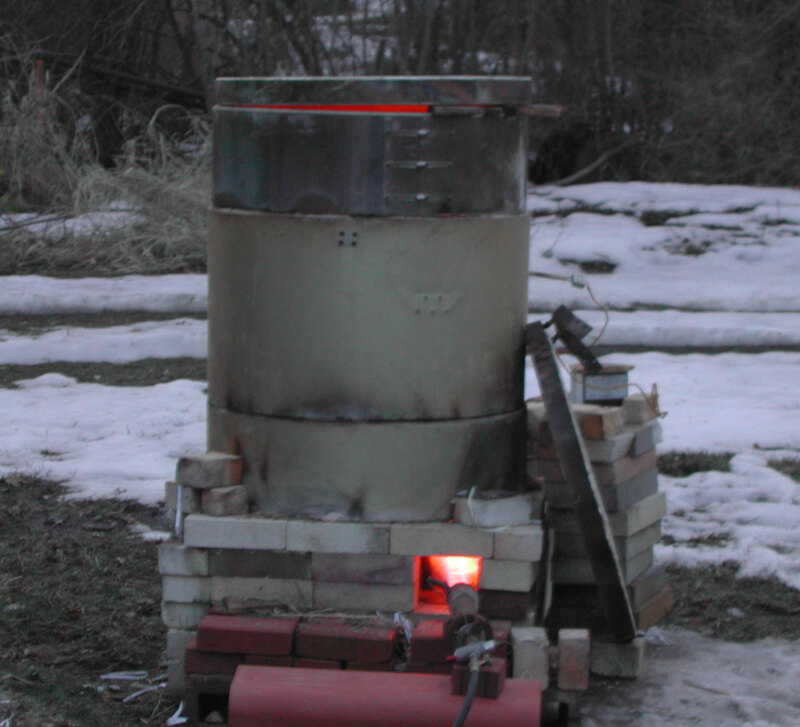 The burning of the combustible materials traps carbon on the surface of the burnished forms. 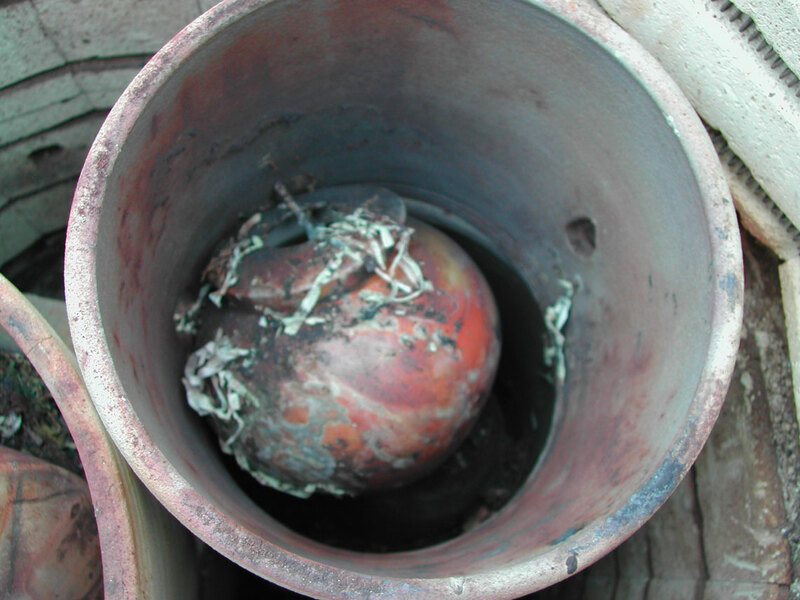 Hot areas produce a white or gray color and a slow burning fire creates black. 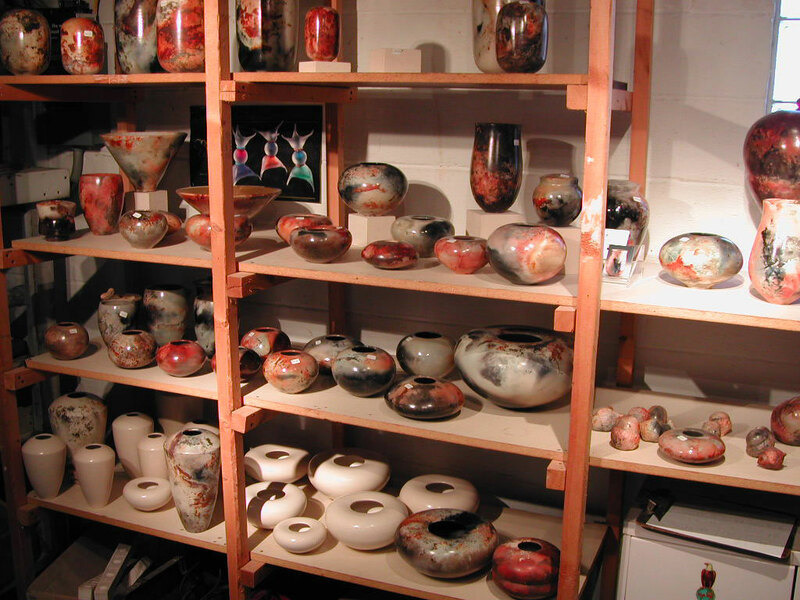 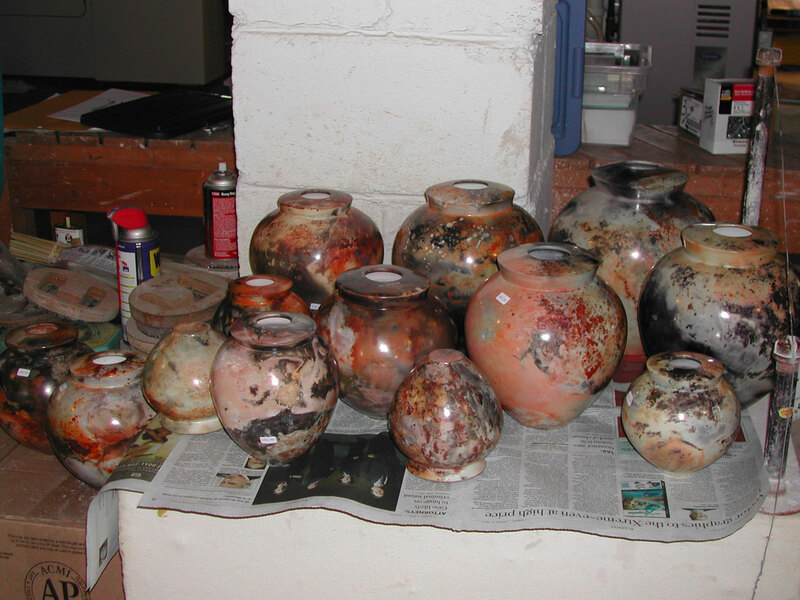 After the firing, the pots are washed, allowed to dry for a week, and polished. 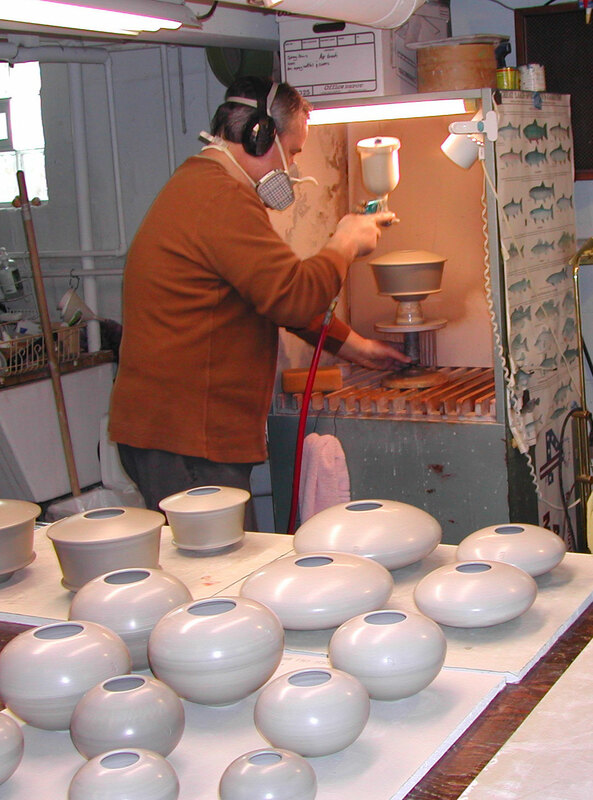 No glaze is applied to the pots.